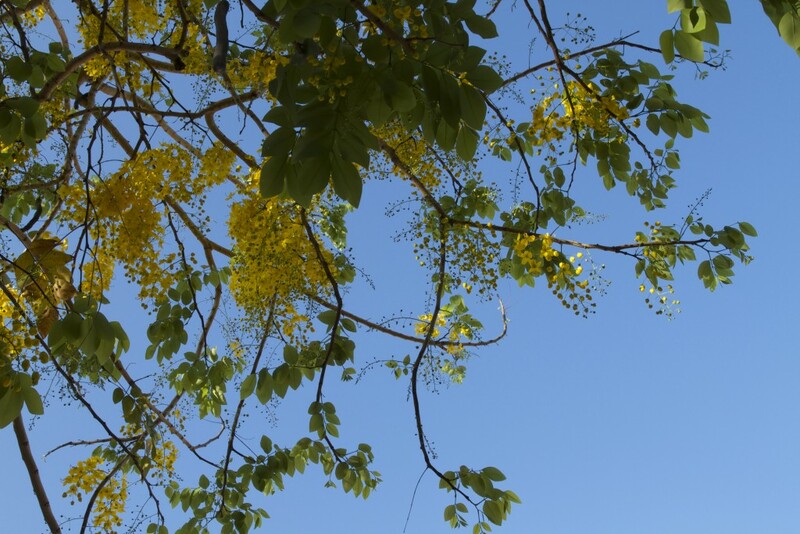 Learn to become an effective teen yoga teacher and earn certification. Try our course right now! What You Get In Your Package! 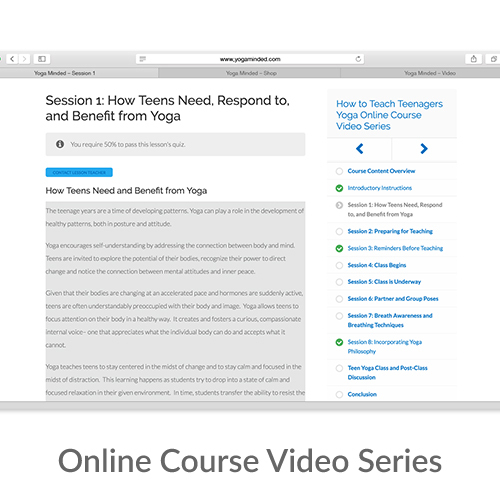 Our 15 hour, 9 session, online video course follows a read-watch-quiz-grade flow. 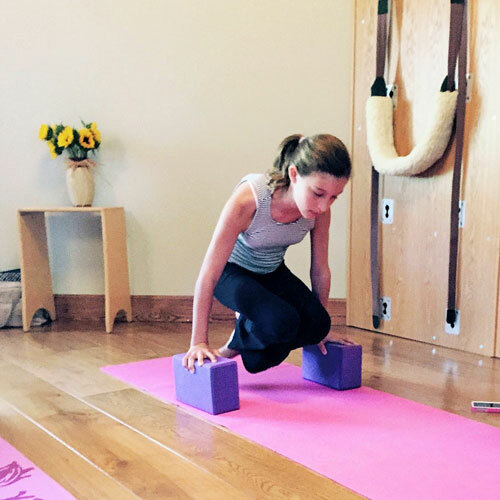 Get comprehensive training from an instructor with over 18 years of experience with teen yoga. An official certification is beneficial to growing your student base. "Well thought out and easily followed." 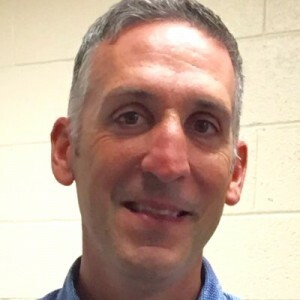 "I am so grateful for this course!" Since 2003, I have been giving small trainings to adults in how to teach teenagers yoga. People have come from around the world; Mexico, Ireland, Venezuela, Argentina and all around the United States. 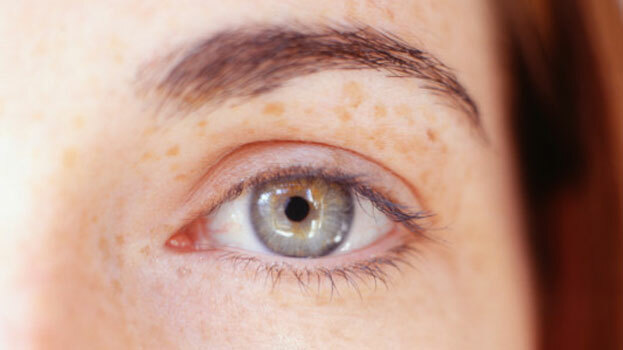 The trainings have been so powerful and helpful to those in attendance that I wanted to offerit more broadly. 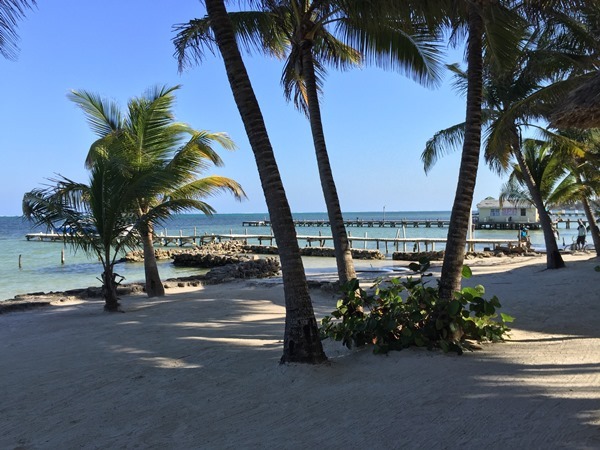 I developed the online course(with video recordings of a live training) to jumpstart more people to learn from home and not have to buy a plane ticket! Plus, I've decided to include ALL of my teen yoga resources to give as much content as possible. I gave a lot of thought to setting up the basic framework for a teen yoga teacher to be comfortable and confident in their role. 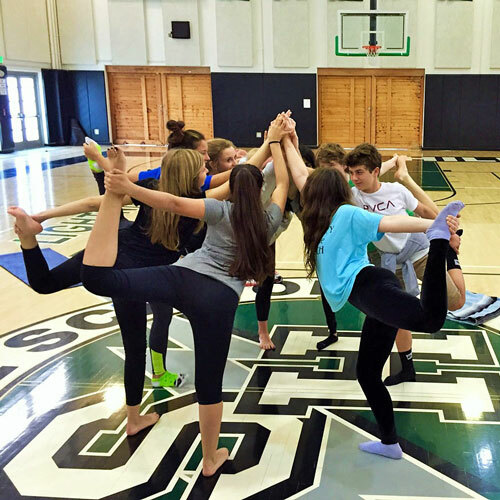 The nine-session course covers a wide variety of topics that are critical to the foundation for teaching teens yoga. 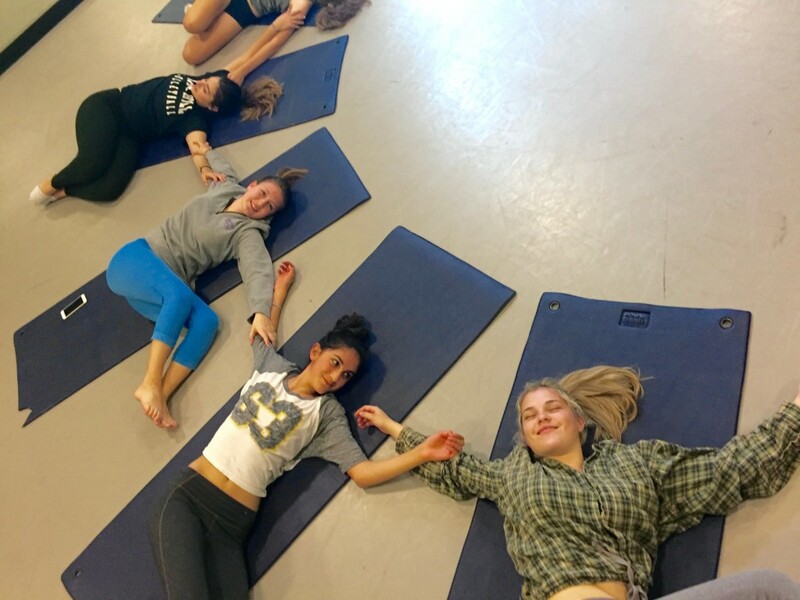 As a result of taking this course, a teacher will have access to tools and templates that apply to any teen yoga environment. 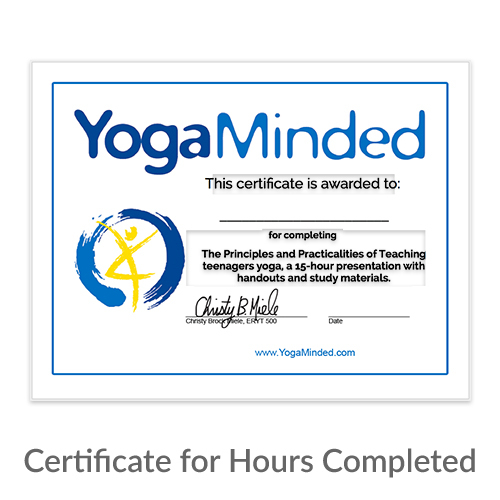 Upon completing the course including the nine quizzes, a teacher will receive an official YogaMinded certificate signed by Christy (downloadable file). 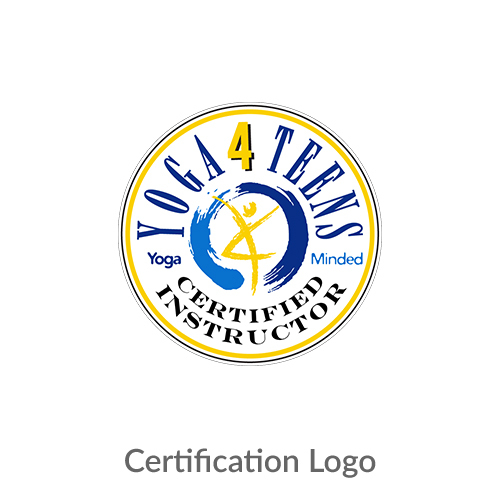 In addition, a teacher will receive the yoga for teens logo to use for their own teaching purposes. Setup only takes a minute. No credit card required to try the course. 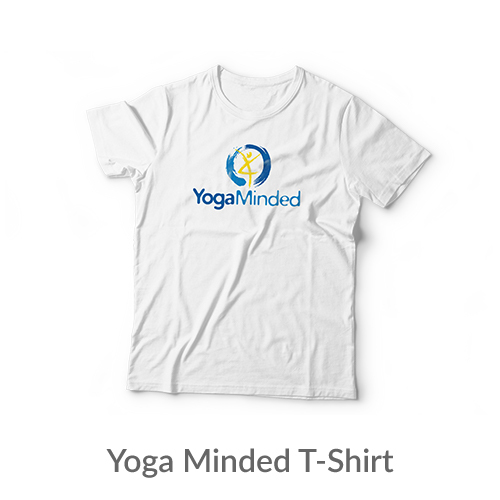 Would you like to build your skills teaching yoga to teenagers? Come learn with Christy in August! 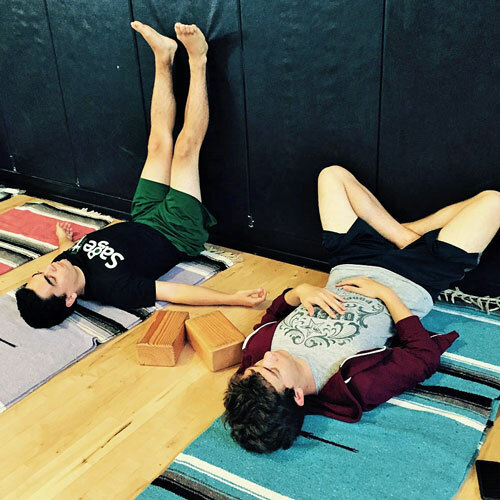 What Yoga Poses Can Help Teens with Exam Stress? 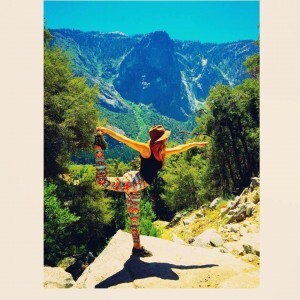 Why Own the Yoga 4 Teens Instructor’s Guide? 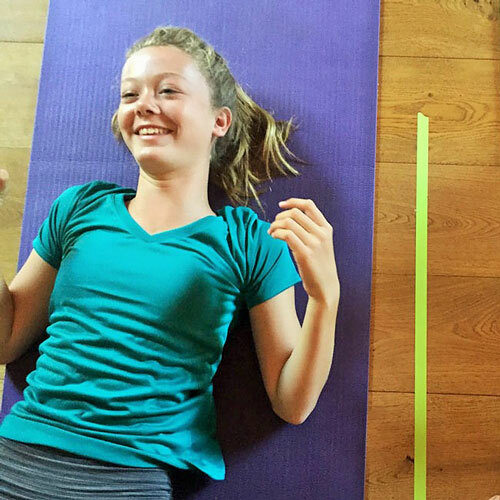 Why Should You Teach Yoga to Teenagers? 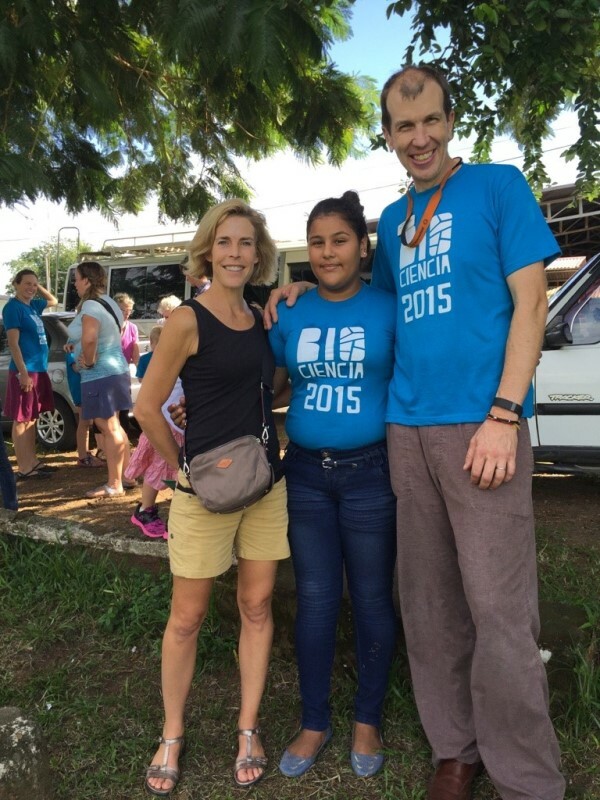 Why Donate to a Non-Profit like EPI? teaching tips and promotional sale from Christy?